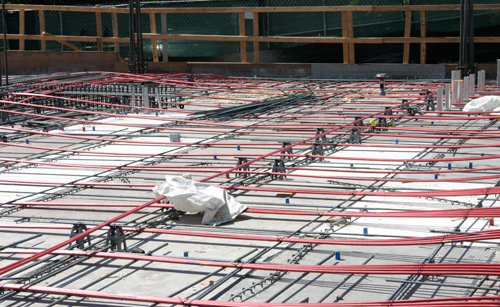 Post tensioned concrete has been proven to be a cost-effective structural solution for many different project types, such as office, residential, parking, retail (malls), hotels for example. We have extensive experience in the design of post tensioned concrete, both bonded and unbonded systems, elevated and at grade. Our principal, Chris Sosnowski, PE, SE, is an expert and has designed many projects in the USA, India, UAE, Costa Rica and Qatar to date. These projects have included both buildings and bridges. He also has been retained by Developers and Contractors in India and Costa Rica to assist in training in design, fabrication and construction of PT systems, so that they may become proficient in using it in their markets.